Weight and resin content are the 2 parameters not to be separated. Heavier the object higher content of resin, more concerntrated and lasting fragnant will be. Newly manufactured beads are slightly heavier. Overtime, fresh beads will reduce its weight naturally during storage through evaporation. 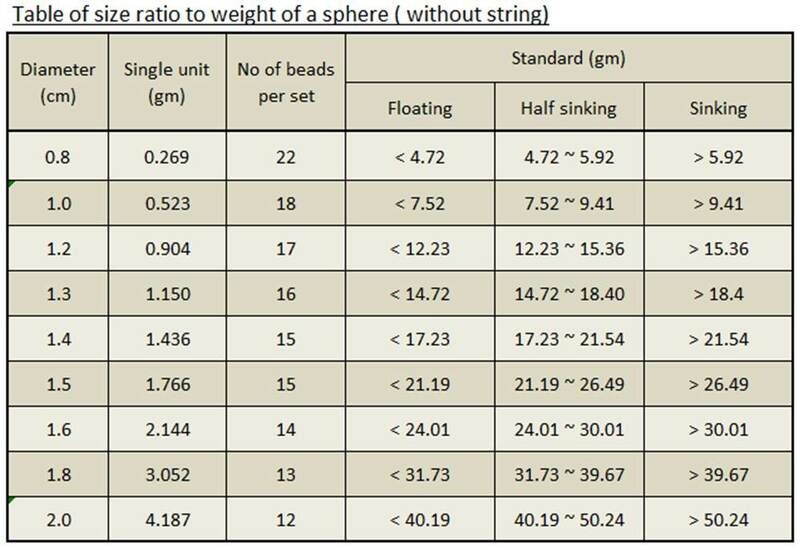 Following table shows the relationship size of beads against weight for Sinking; half-sinking and floating beads quality.